Have a race coming up? How about an intramural sports team? 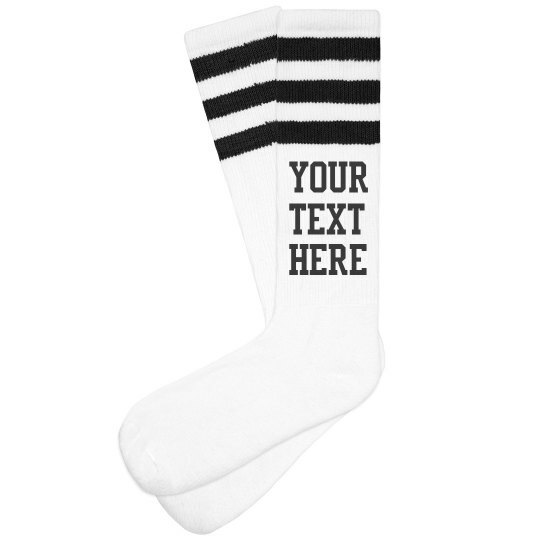 Whatever the occasion, custom knee high striped socks are your answer! Customize these bad boys by adding your own text. You can literally say whatever you want. Add a team name, your own name, a favorite saying, or a motivational quote. The possibilities are endless.